Google recently replaced their classic Map service with an all new Google Map that is no more available free of cost for websites and service developers, they started looking for alternatives. And why just businesses, there are many people who may not like the sluggish graphic execution or the slow loading process of the new Google Map that hinders the exploration of the Map and rather preferred the classic Google Map. Undoubtedly, Google Map is the most popular web mapping services online and there are very few can compete with their standards. However, just because it is widely used or comes preloaded on your phone does not mean that it is the only option that you have. Even though Google provides a remarkably comprehensive mapping data and additional features such as the satellite representation and the Street View, it still misses some crucial features like real-time offline map downloads and multi-stop navigation. But worry not, as there are quite a few alternatives to Google Maps nowadays that can not only be a great option for the mobile application developers or websites who aim to assimilate maps or navigations predominantly, but are also free of charge which is a great plus over the cost that you will rather incur with Google Maps now. So let’s take a quick look at these alternatives to Google Maps (free or upgradable), which will be really handy to many of us. 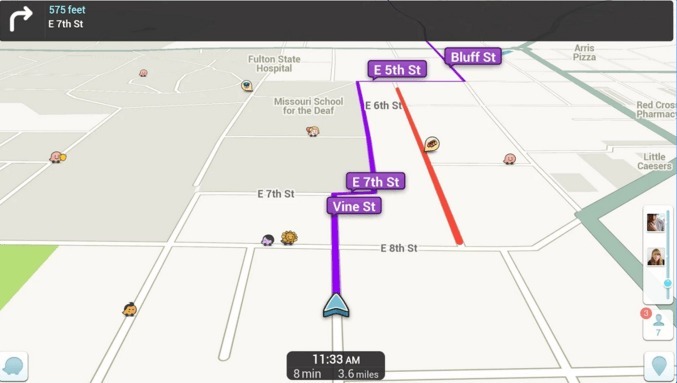 One of the world’s biggest free community-based Mapping, Traffic and Navigation App, Waze is now owned by Google. However, for those who prefer using the original Waze app, it is still available via the Play Store free of cost. 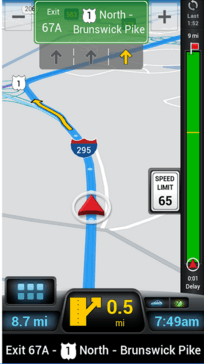 Even though the app does not fascinate you with its design, the fact that it provides you live with real-time traffic updates and reads them too between two users is something really unique. It is known to provide accurate information about nearby restaurants, slow-downs, gas stations with prices, police movements, mishaps and more along your way in order for you to find the correct route and avoid the ones that can slow you down. That’s not all, as it also works like a social networking platform so you can add friends, share locations or even keep others informed about your time of arrival. Compatibility: Web, iPhone, Android, Symbian, Windows phone and Blackberry. Even though the web version of MapQuest is completely replaced by Google, you can still access its Android app which is absolutely free of cost. It came into existence even before Google Map or smartphones were thought of and hence, is one of the oldest geolocation services in the category. With millions of downloads, it is one of the best mapping services that renders you with real-time maps, traffic updates, voice navigation and GPS. MapQuest offers mapping services in HD, traffic updates, multi-point navigation, guiding you on alternate routes, solid point of interest, strong bookmarking choices and sharing of estimated time of arrival. If you are looking for a stress-free navigation while you are driving across the town or on a long road trip, MapQuest will help you with credible directions and constant updates on traffic. Now with the introduction of the new feature, you can also get access to the customizable gas price option where you can simply enter your address and find a nearby gas station with the best price. Bing is the second largest search engine after Google and even they offer “Maps” with superior and effortless mapping services. The fact that it is also in partnership with Microsoft makes it one of the biggest competitors of Google Map. This geolocation service provides you information for nearly 70 cities across the world. Apart from the GPS feature, you can also have access to route maps, direction while driving, clearFlow and traffic updates, sharing of maps and even embedding. Moreover, you can also get the required information on how to reach a destination by public transport or by a four wheeler, get info on local services, view the city in 3D, etc. along with an exclusive feature of “bird’s eye view” which allows you to see the directions from various angles. Since the Maps are supported by the Bing search engine, searching any location become extremely easy. In the meantime, if you want to save your favorite locations or the searches, you can simply register with Microsoft, sign in and help yourself. Scout is more than just a GPS app as apart from providing you with geolocation services, it also works like a social networking app that lets you chat with friends and even plan meet-ups with them. That’s not all, as you also have access to OpenStreetMap with updates on traffic, guide to parking, points of interest and even helps you connect and share with your friends so that you can easily trace each other. Get the best direction with the help of real-time traffic and driving alerts. One of the most up-and-coming mapping apps of the recent times, Scout helps you with multiple routes, a large database of local affairs nd location reviews in a specific area. It allows you to customize your routes with just a touch of your fingers, be in sync with voice chat, messages, share your location, ETA and directions with your contact list friends. What do you do when you are caught up in an area with frequently interrupted internet connection or when there is no availability of internet connection at all? 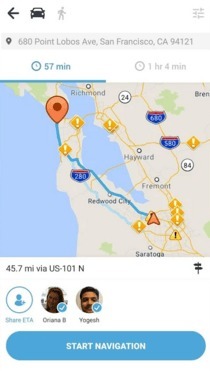 Navfree USA is one such app that rescues you from a tricky situation like this, as this is an Android app that can help you find the best routes even without the internet availability and hence, makes for a great alternative to Google Maps. In order to use this geolocation service, you simply need to download this whenever you have the data connection available and then use it whenever you want even in the absence of data network. Navfree USA comes with an extremely simple and user-friendly interface that is easy to understand. You will have access to free maps that are locally saved and availability of routing software for all the 50 states in USA along with Mexico and Canada. You get constant updates from the servers of the OpenStreetMap.org in multiple languages from where you can choose the one that you prefer. If you are looking for a highly competitive alternative to Google Map, nothing can be as good as the HERE Maps which is based on the cloud computing concept. 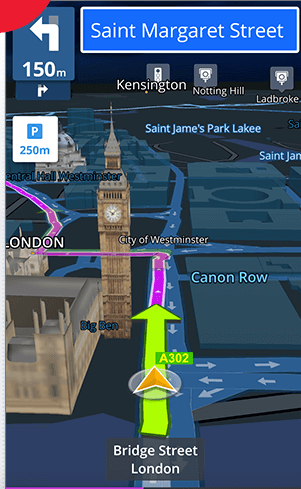 Created by Nokia, Here Maps is one of the best mapping options for your Android device that offers extremely comprehensive maps in comparison to Google’s map. This map is not just limited to cities, but you can instead download the complete map of the entire nation helping you to get directions at any part of the country. That’s not all, as once downloaded you can also access the map even without a data connection. HERE Maps also includes a huge directory of points of interests and also the inner mapping of famous structures. It also allows you to store the location details and services on remote servers which can be accessed from any device. With HERE Maps you can get access to route navigation by each turn, public transport details for many cities, maps in 3D mode and more. Additionally, using MAPS.ME you can also bookmark places which you can send or receive from other maps at any given time, search for directions while on the move with Auto-follow mode and can also share location with your friends and family via SMS. Mechanized by Tom Tom, Sygic Map offers all the functionalities that you look for in a map service. Although it may not provide a comprehensive map data, Sygic is still a good alternative to Google Maps as you can access the map even when there is no internet connection. 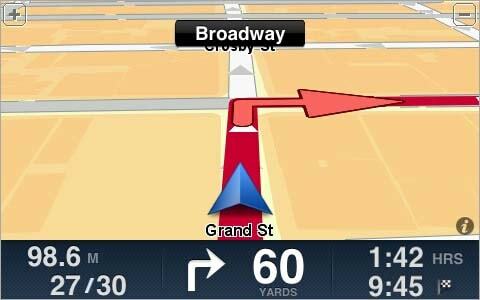 While you get complete offline support for directions and turn-by-turn navigation, it also helps you with advice on parking, points of interest suggested by TripAdvisor, street guidance, voice navigation and warnings on speed limit while driving. You can use Sygic Map for free, but it also offers its paid version with premium functionalities like traffic information and entry to locations with speed camera. OsmAnd is a free mapping and navigation app that picks up the high-quality global data from the OpenStreetMap and includes in its own database making it a worthy alternative to Google Maps. Now that you have access to the worldwide data for free through the OsmAnd features and interface, it will furnish you with turn-by-turn navigation for driving, cycling or walking along with points of interests data via Wikipedia. Moreover, the entire map information is saved in the memory card of the device on which you are using the map service so that you can use it offline as well. OsmAnd also offers routing with visual and voice navigation for four-wheelers, two-wheelers and for those who choose to walk. While you can view this app in both day and night modes and customize the map’s appearance with several options, you can also use the app when there is no internet connection. 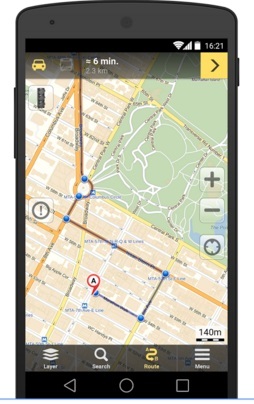 MapFactor is a mapping and navigation app for Android that is totally free for users. It takes its entire geographic data that includes postcodes and maps from the OpenStreetMaps. 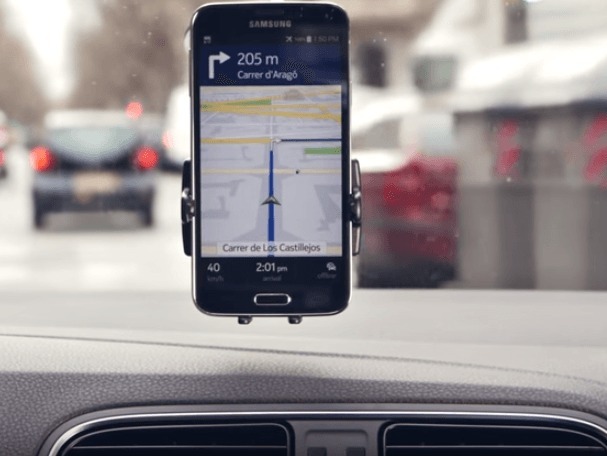 While you can use this GPS service while you have the data connection, you can also use t while you are offline since the postcodes and the maps are stored in the device that you are using or in its memory card. 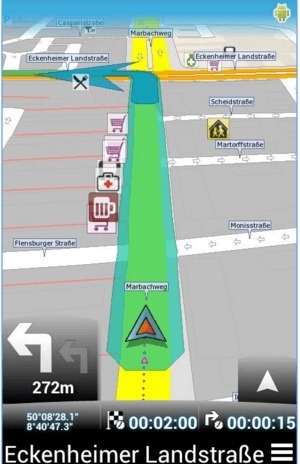 Additionally, the maps are updated each month for free of cost, offers voice navigation, access to maps even while in different countries, day and night modes, 3D view, nearby points of interest, speed camera warnings, option to customize your favorite places and directions, routing modes for those who are walking, driving or for trucks, and more such features. 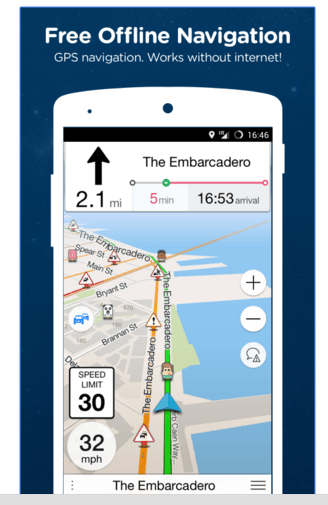 Copilot GPS is a widely used app that is available to download for free, but its premium features are rather more attractive. 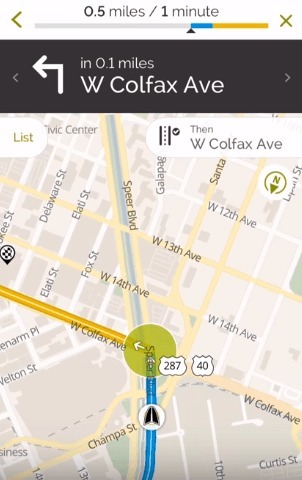 While you can use the map offline in the absence of internet connectivity and plan trips on your smartphone or tablet, you can also locate nearby restaurants, gas stations and parking zones. 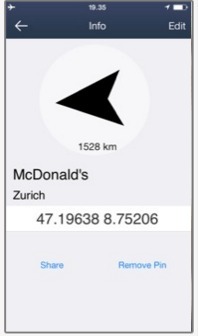 Moreover, you can also search for local details using Google, Yelp or Wikipedia (with the data connection) and also get access to walking mode. However, if you upgrade to the paid version, you are equipped with premium features such as turn by turn voice navigation, 3D street views, real-time traffic information, speed limit alerts, safety camera warnings and much more. 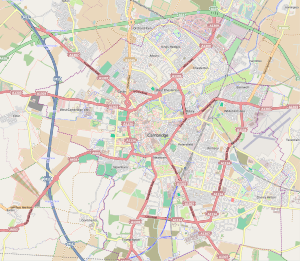 WikiMapia is a multilingual GPS map service owned and runs on open source Wikipedia software wikimedia. They intend to provide an entirely free of cost, comprehensive, complete and advanced mapping service to all parts of the globe. You can search for all types of maps that include satellite maps, ground maps and even the bird’s eye map. Run by volunteers, WikiMapia is an online editable map that allows you to edit any incorrect information in the form of a note thereby, helping users from your city or someone who’s visiting your city. To add a note there is no need for you to sign up, however, is first analyzed by the moderators to avoid any errors. According to Wikipedia, their map is being used by more than 2 million people and nearly 24 million entities have been marked by the users. With unique features like editable map and broad categories, WikiMapia is one of the perfect alternatives to Google Map. Owned by a Dutch company, TomTom offers geolocation services for over 95 cities across the globe. The website unveils maps every quarter with updated route details, speed limits and points of interests. On its launch, it was declared as the main mapping and navigation service provider for iOS 6 Maps app substituting Google. Apart from the usual mapping service, TomTom also offers many other features like traffic updates, sharing of maps with family and friends, navigation, IQ routes, live updates, and much more. Developed by a Russian internet entity that controls the biggest search engine in Russia and is the 4th largest search engines in the world, Yandex also offers services in the mapping and navigation category and is certainly a better alternative to Google Maps. It helps you with detailed navigation, locate nearby restaurants, ATMs, cinema theaters, beauty salons, fitness, gas station and more. You can also get traffic updates, route mapping, share locations, get directions and even save your favorite places with Yandex Maps. 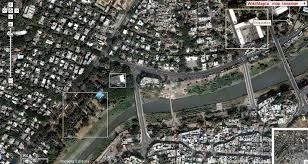 OpenStreetMap is an openly licensed map and a joint endeavor that gives you access to a free mapping service. While users can edit the map details just like you would do in the WikiMapia, it can also be installed on your WordPress website which is available as a WordPress plugin. It is not an exact replacement to Google Map, but rather requires a third-party software for you to get directions to your location and to obtain other information. You can use mapping tools like MapQuest or MapBox Streets for the same. MapBox Street maps clone the features of Google Maps quite efficiently and provide a more detailed option to be added to your website. You can avail of the free version if you are anticipating to cater to less than 3000 map views each month, however, for higher limits you need to pay a subscription fee with added features. The premium version starts at a monthly fee of $5 for 7500 map views and caps at $499 per month for over 1 million map views and 24 hours support for response duration. MapBox also comes with free open source software named TileMill, that lets you develop static maps which you can implement in your reports, in presentations or on your web page. Wikimapia is not owned by Wikipedia.